Celebrate the festive season at Blenheim Palace. Enjoy our Top 11 things to do and discover in the countdown to Christmas. 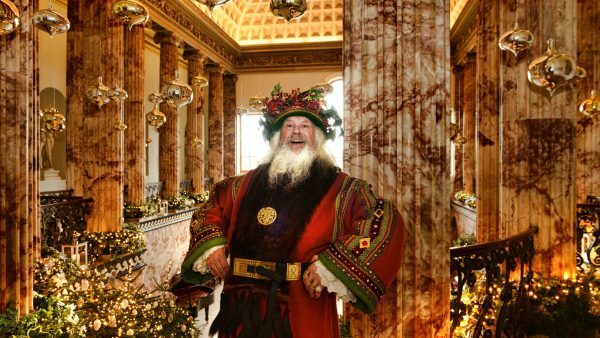 Celebrate the festive season at Blenheim Palace. Enjoy our Top 11 things to do and discover in the countdown to Christmas. From Festive Afternoon Teas to Late Night Shopping, Sunday Jazz to Choirs and Carolling as well as the beautiful Christmas Lights Trail, there’s plenty for everyone to enjoy over advent. 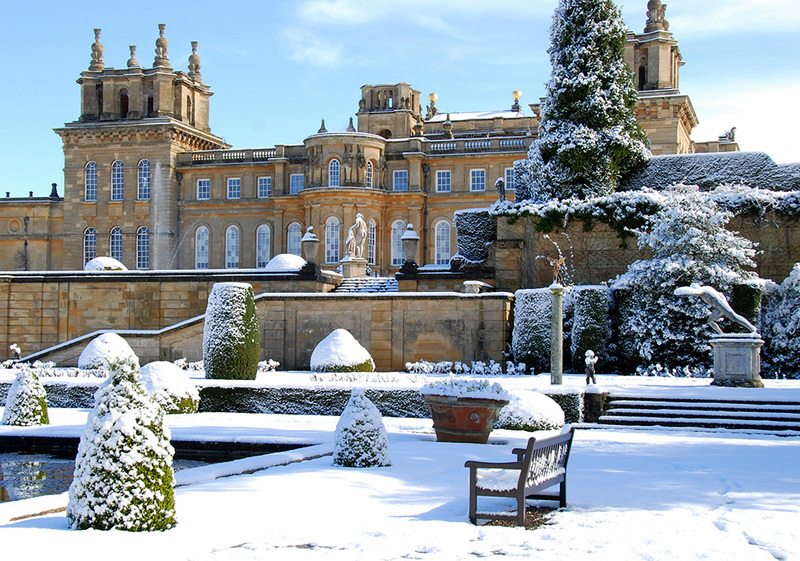 Visit Blenheim Palace, full of Christmas spirit, for their late night shopping event. The beautiful retail shop will be open late with tastings and mulled wine. Find lots of Blenheim Palace’s own produce and gifts for Christmas stockings. Outside the Visitor Centre, Estate-Grown Christmas Trees will be on sale, ready to decorate your home with Christmas magic. Visitors can enjoy a delicious seasonally –inspired menu in Blenheim Palace’s iconic Orangery, which overlooks the Duke of Marlborough’s private Italian Garden. Enjoy locally sourced festive food, perfect for a seasonally delightful day out. Discover a bigger and better trail for 2017 as you wander around the beautiful ‘Capability’ Brown landscaped Parkland aglow with immersive illuminations. Perfect fun for all the family; immerse yourself in beautiful lights this festive season. This festive season is the last chance to see this must-visit exhibition. ‘Softer’ explore themes of power, conflict and activism and alongside many new works, the exhibition will use augmented reality to explore the potential of the virtual space and will also feature the artist’s well-known work with LED signs. Holzer is developing large-scale light projections that will transform the Formal Gardens after dark in a series of night time public events. Visitors can also explore more meditative areas which will feature examples of Holzer’s best-known work. 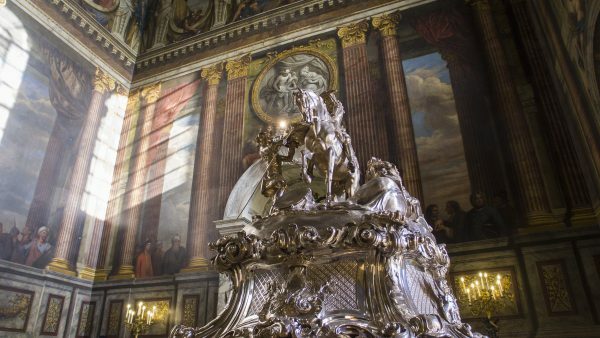 Listen to sonorous choirs and stunning brass band music this Christmas in Blenheim Palace. Singing hymns and playing Christmas carols, acclaimed choirs will enchant visitors as they tour around the Palace State Rooms and Courtyard. Each year Blenheim Palace grows Christmas trees in the extensive Parkland. Sustainably grown on the estate the trees go on sale on 28th November with varietals such as Norway Spruce and Nordman Fir. Explore over 2,000 acres of ‘Capability’ Brown landscaped Parkland this winter. From frosty walks through the woods to chilly lakeside strolls, winter is the perfect time to enjoy the Parkland in its seasonal starkness. Dogs are allowed on leads. Enjoy Christmas shopping in style! Explore the Churchill and Marlborough Pavilions in the Great Court, where over 150 British designer-makers will be showcasing high quality contemporary crafts. Discover the perfect presents for all the family from special commissions to simple stocking fillers; millinery, ceramics, studio glass, leather work, sculpture, textile crafts, photography, toys and puzzles, fashions, soaps, designer jewellery and more. Escape the winter chill and take a State Rooms tour. 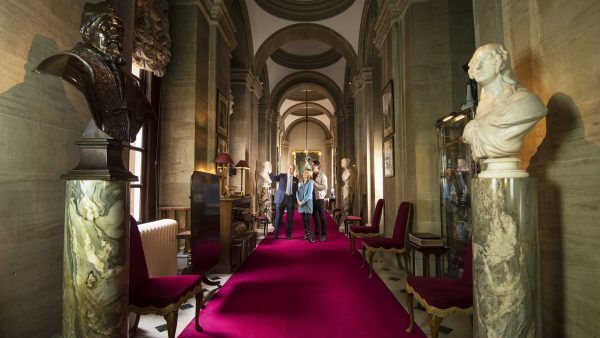 Led by an expert guide, discover the delicate detail of stunning portraits, tapestries and furniture is set against the scale and ambition of the interior architecture. Tours can be joined at the Palace entrance and are available at regular intervals from Monday-Saturday. This year Blenheim Palace is pleased to be open all year round! Closing just for Christmas Day visitors can enjoy the Palace throughout the festive season with new events and winter activities available. Visitors can buy an Annual Pass giving them entry to the Palace, Park and Gardens throughout the year for the price of a Palace, Park and Gardens ticket. Head to The Orangery this winter season to enjoy a Festive Afternoon Tea. The limited edition afternoon tea is created by Head Chef Billy Bush offering seasonal delights and mulled wine. Book ahead for a decadent festive experience set within the splendour of The Orangery which overlooks the Duke of Marlborough’s private Italian Garden.